ModuleBazaar (MB) is an online marketplace for buying & selling modules, add-ons, extensions, components, scripts, themes, and templates for Applications and/or softwares that run on popular technologies. The software modules are listed under various categories including payment, shipping, front office, promotions, administration, etc. Most items purchased in Modulebazaar.com are open sourced, easy to install & configure and does not require heavy programming skills. With that said Module Bazaar would like to proudly share with you the milestone achieved on crossing the 10,000 downloads. Our eCommerce technology evangelists review every piece of technology we sell through Module Bazaar. “Over 10,000 downloads was achievable owing to the tireless contribution of our domain experts. They strive everyday to offer only the best in class and most sort after technology extensions to aspiring eCommerce developers and help them to take their ideas to next level” says, Krish Govindaraj, CEO, eGrove systems. At Module Bazaar we aim to reduce development time for standard tasks such as payment gateway integration. We do not just stop with selling eCommerce extensions. As an organization Module Bazaar believe in helping our clients from all perspectives of building a complete eCommerce solution for their target audience. Nonetheless, we also offer services such as: Installation, customization, development, upgradation and SEO. We take a wholesome approach in serving our clients even through intangible channels like forums and blogs. “We have an active forum for open communication where clients drop by and ask questions or strike a conversation with our technology experts or other forum members.” says Latha Vadivel, Product Manager, Module Bazaar. “Engaging in conversation with like-minded industry fraternity can make a difference in the process of turning ideas into reality.” Latha adds enthusiastically. Our solutions are not confined by geographies and address developer needs across the globe. For example: some of our modules are capable of handling multi currency. We also encourage the developers to purchase at Module Bazaar with source code and eventually own the product avoiding dependency. We make it more interesting for you to shop around with irresistible offers and inevitable discounts. Each extension we offer has its own features, technical details and most importantly, the price factor and priority support. There are also coupon codes available to purchase extensions at discounted rate. Every aspiring eCommerce developer will be benefitted by landing in the Modulebazaar.com and shop around effective solutions to complete their solution development. eGrove systems is a IT solutions provider and a front runner in the eCommerce space and Digital Marketing. The three primary products of eGrove are Elite Site Optimizer – a comprehensive tool for website optimization, Module Bazaar – an online marketplace for eCommerce Developers and Elite mCommerce – The neXt Gen mobile app builder. 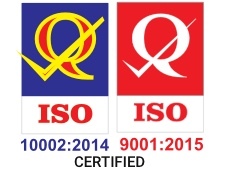 eGrove is a ISO 9001:2015 QMS and ISO 10002:2014 Customer Satisfaction Management certified organization which has been instrumental in supporting several companies carve its niche in their industry vertical. Headquartered in New Jersey, eGrove strives to deliver the best-in-class solutions specific to the client requirements and industry vertical helping them to attain their business goals.